Extract it wherever you like in a folder. After you find a model, download it and extract it somewhere. Now, open up 3DS max. Drag the fbx/dae/obj/whatever it is over the current 3DS Max scene. 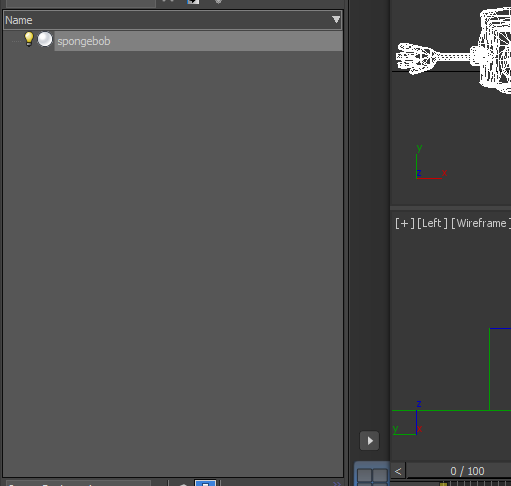 For example purposes, I will be using spongebob as a rig test. Drag it into max, now your object/s will be in the scene. Drag the textures over each model and make sure they are applied right and show up properly. If you see bones that the model already has, (for example, attempting to port a brawl mod) you want to remove those bones so you can re-rig onto the smash 4 skeleton. Then right click on the costume folder (c00) and hit Extract. Drag this also over the 3DS max scene. Delete all the models that were just imported into the scene except for your model that you will be rigging over the skeleton of the fighter. Now, move your custom model around and rotate it and scale and move it up to match with the skeleton of your fighter. Rig it as you would rig for brawl or any other game, add a skin modifier, mess with weights, etc, etc. If you don't know how, as I stated above, many tutorials for skinning and weighting exists. Make sure your models all have a skin modifier applied and are rigged properly before exporting and testing. Errors you may get may happen due to improper weighting, dead vertices, too high quality of a model, etc. Onwards to the next step. In the fighterCreator folder, drag this script file over the 3DS max interface. It will ask you to save as dope.csv. Save in the fighterCreator folder. After that, go to your smash explorer folder, then extract, then data, then fighter, then the name of the fighter you want to import over, then model, body, c00. Copy the model.vbn inside of the folder over there into the fighterCreator folder. Now, open up the textures for your import in paint.net or your preferred photo editing program, and save them as DTX5 and DDS with generated mipmaps. Make sure to rescale all of your textures to be at least 128 x 128 if they aren't already. If for example, one of them is 128 x 64, you want to rescale it by the power of two to make it 256 x 128. Place them all in the fighterCreator folder. 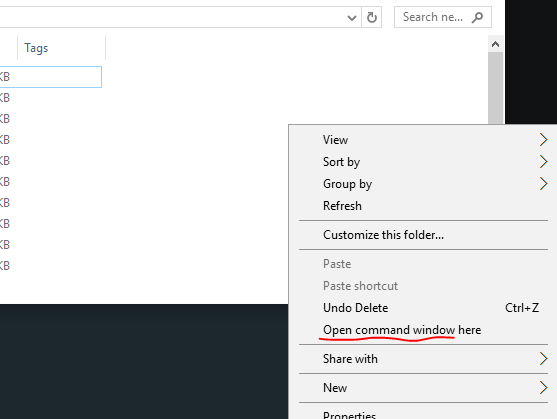 Now, hold shift in the fighterCreator folder and hit open command window here. If there seems to be nothing unusual, you did it! 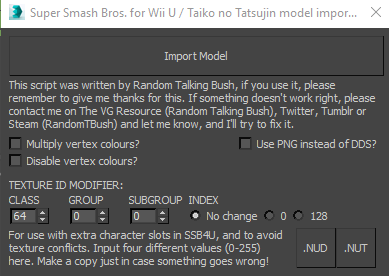 Grab the model.nud and the model.nut and test it by installing it in sm4shexplorer. "It won't create my model.nut! I have several textures, what is the problem?" Save and try again, it should create your model.nut just fine. "My textures don't show up in the right places in the game, its all weird and screwy!" If ingame the textures seem to bug, you have to export the model to a .DAE in 3DS max (there are many guides on this) and put it in this program here. Have fun, and please comment if you need further help. If you are planning on releasing a rigged import use this tool to fix texture id's. A tutorial for making texture hacks and CSPs and UI will come very soon, I promise. Material editing? I'll link the tool and a page of what what materials do. As for now, have fun making the main rig. is 2014 the latest 3ds max and is that why its not compatible? also do we need normal maps? Hmmm.....................................I still don't know if I want to get into Smash 4 or not, might be able to replace that ugly looking SM64 Mario model, but then again, still haven't released the update for the Brawl version.........................I think I'll wait some more, besides I haven't bothered to look into how to get hacks for Wii U yet. 2017 is the latest version, but I too would like to know why 2014 isn't compatible and whether or not 2015 and later are compatible. or do i have to dump my game? Hey, wanna be in my gang?